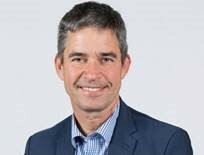 AIRTO is pleased to confirm that Dr Peter Bonfield OBE FREng, who recently stepped down as CEO of BRE Group to take up the post of Vice-Chancellor of University of Westminster, has been appointed as a Non-executive Director of AIRTO, having previously served a Member Director on AIRTO’s Board. Peter is the Vice-Chancellor of University of Westminster, a university that combines both metropolitan and cosmopolitan dimensions, and which is closely involved in business, professional and academic life within London, as well as overseas. He works closely with the University Executive Board, to ensure they are providing a first-class education for their students, and that they continue to build strong relationships with industry through enterprise and research, making a difference to many professions in the UK and globally. Previously, Peter was Chief Executive Officer at BRE Group, where he positioned the company as an international leader in building research, including forging a number of high profile research and teaching partnerships with global universities, and ensuring that the organisation operates on a sustainable business model independent of government funding. Peter has long been passionate about higher education and during his career he has forged many partnerships between BRE Group and a number of universities across the world, developing important research programmes, and online delivery of education and training. He has also worked across many government departments as a non-executive and expert on a wide range of briefs, including chairing four independent reviews for the Government, on Forests and Woodlands, Public Sector Food Procurement, Property Flood Resilience, and Energy Efficiency and Renewable Technologies. He was appointed as a Non-Executive Director of UK Government in 2015 assigned to the Department of Food, Environment and Rural Affairs, and to the Talent Advisory Group which looks at development, recruitment and retention of Civil Servants across England. Between 2006 and 2012, Peter was part-time seconded into the Olympic Delivery Authority where he co-created and delivered the Sustainability Strategy and lead on the procurement of construction products. He is a former National Cycling Champion and coach, and wrote for sports magazines on cycling and triathlon. Peter is currently Deputy President of the Institution of Engineering and Technology and a member of the Board of UK Active.